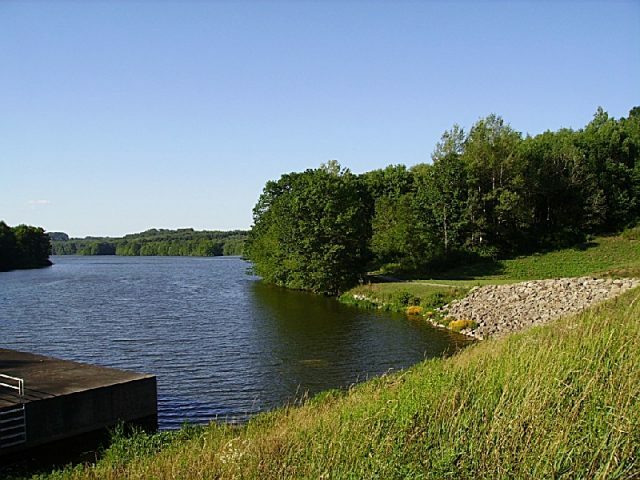 Lake Wilhelm is a warm water fishery and lies partly within Maurice K. Goddard State Park, a 2,856-acre (1,156 ha) Pennsylvania state park in Deer Creek, Mill Creek, New Vernon and Sandy Lake Townships, Mercer County, Pennsylvania in the United States. It features wildlife, waterways and public recreational facilities. 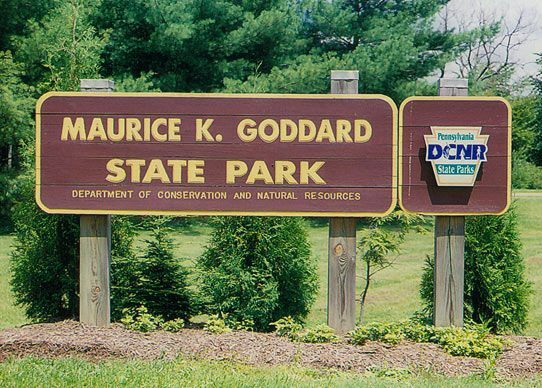 Lake Wilhelm shares its shorelines with Maurice K. Goddard State Park and State Game Land No. 270. The dam, constructed in 1971, creates a 1,860-acre (750 ha) lake providing a resource for people and wildlife. Many species of fish and amphibians make Lake Wilhelm their home. A variety of outdoor activities are available in and around the Park vicinity. The addition of the Goddard Classroom, at the Marina facility, provides the opportunity to present programs about nature, wildlife and ecology. Special events and programs are held throughout the summer months. Maurice K. Goddard State Park is just off exit 130 of Interstate 79 on Pennsylvania Route 358. Lake Wilhelm is a warm water fishery and lies partly within Maurice K. Goddard State Park and partly within the adjoining game lands. The common game fish found in the lake are largemouth and smallmouth bass, perch, crappie, bluegill, catfish, walleye, northern pike and muskellunge. All fishermen are expected to follow the rules and regulations of the Pennsylvania Fish and Boat Commission. Five natural gas wells have been drilled around Lake Wilhelm as of May 2009, with up to 15 more to follow. The state does not own the mineral rights under much of the park, but did work with the driller to minimize the impact of the wells on recreational uses of the park.